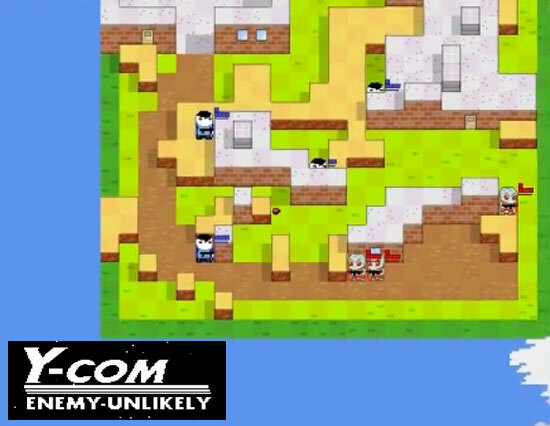 This is Oxeye Game Studio’s first competition entry for the “Bootleg Demake” competition at The Independant Gaming Source. 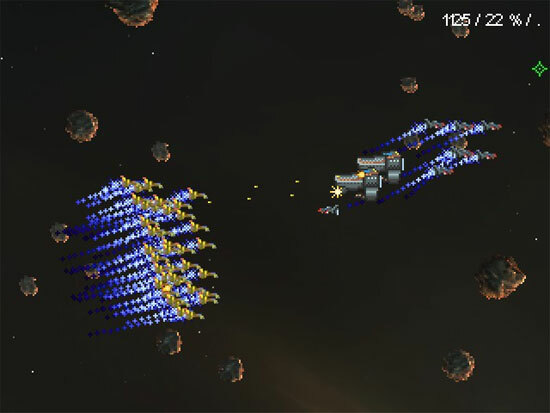 It is a demake of the classic Homeworld by Relic. For Windows and Mac. 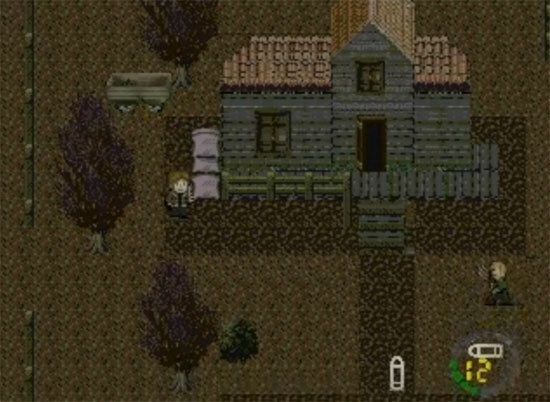 An interesting project about making Resident Evil 4 as a 2D game. Haven’t tried the game, but from the trailer it seems that the game is in italian language. 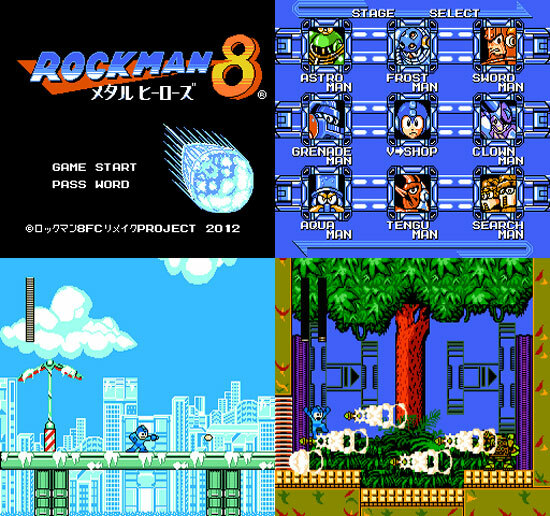 Rockman7-FC is a demake of MegaMan 7 for SNES. 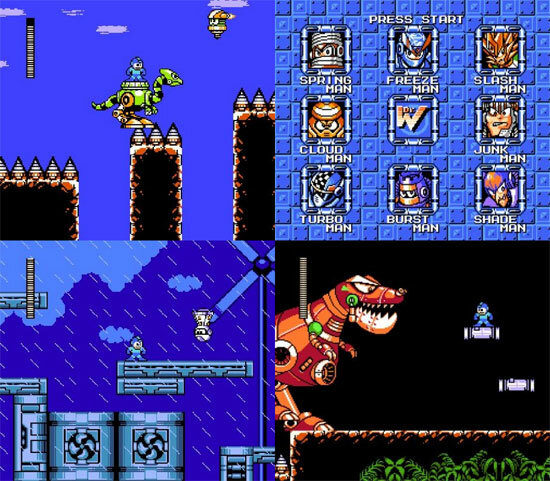 All the game’s graphics is in 8-bit pixellated style, re-worked levels to be on an NES scale, re-worked the feel and the gameplay to that of the NES titles, and even “chiptune” versions of the music that sound like something fresh out of an NES speaker. 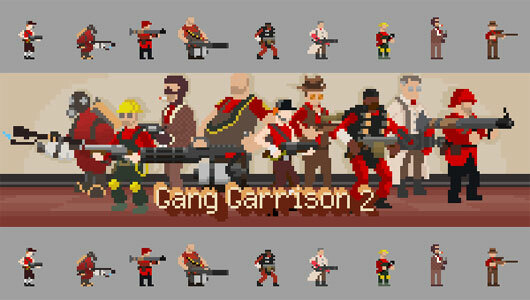 Gang Garrison 2 is a free multiplayer ‘demake’ of Valve’s Team Fortress 2 started by mrfredman and MedO with many developers later adding new features. With all 9 classes, many different TF2-inspired environments, and fast-paced, team-based, multiplayer gameplay represented, GG2 is the premier TF2 tribute-parody-alternative. 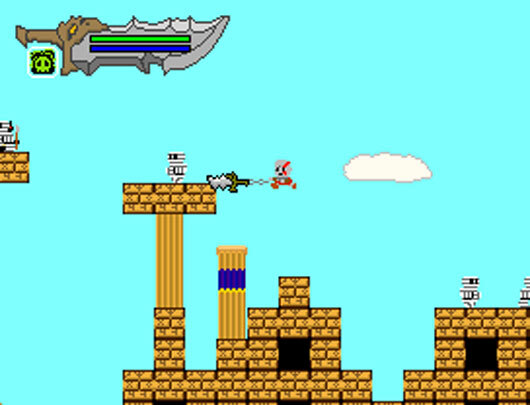 An 8-Bit demake of God of War, this game is a love letter to both the series itself as well as old school gaming in general. 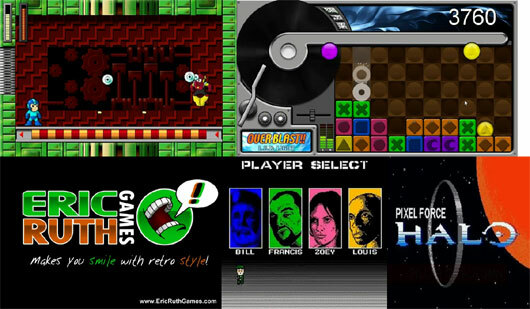 Eric Ruth’s latest demake title, Team Fortress Arcade. 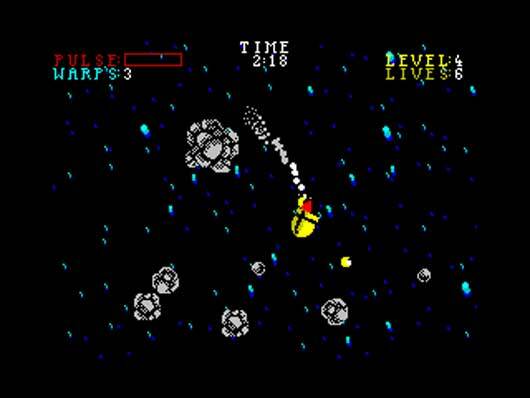 Here is a collection of games made by “Eric Ruth”, famous for the Pixel Force series (Halo,Left 4 Dead and D.J.Hero) remade in 8bit as they had looked if they were published on the NES. 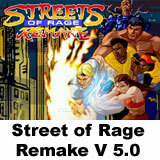 The Gamepack include those and others works for a total of 10 games to play. 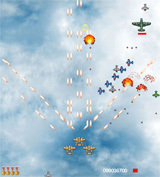 Rockboshers is a top down shooter played over 19 levels.